The Café, which opened in 2016, is located in the six-acre block of Union Plaza in the heart of Lincoln. The area has wide trails that meander along Antelope Creek, large boulders, natural landscaping and cement fixtures. Doug wanted to pick up on the feel of the neighborhood, yet be as welcoming to trail users as it was the downtown lunch crowd. Amazing certainly describes the large custom metal chandelier hanging in the main dining area. 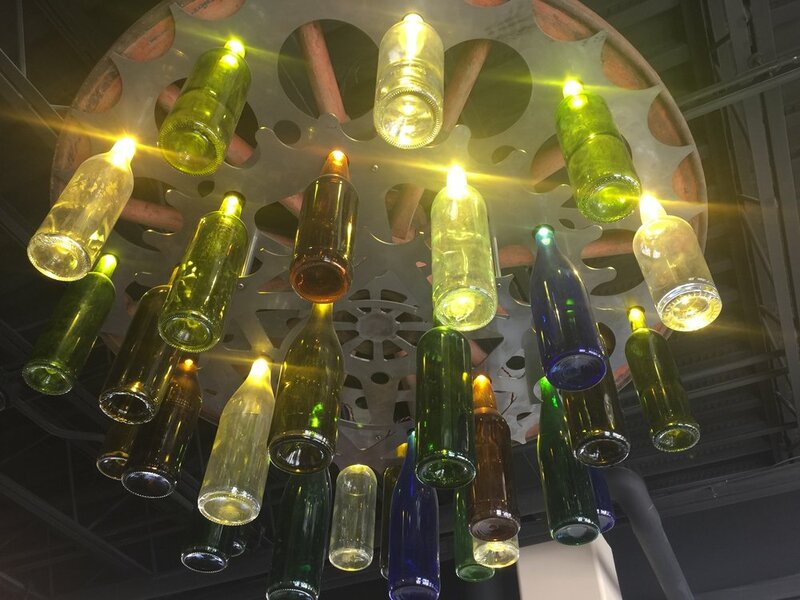 Called the wine-delier by Doug, Rivers Metal Products created a striking, one-of-a-kind lighting fixture from an antique wagon wheel and a collection of special wine bottles. The chandelier represents the farm-to-table theme while also providing a unique and artistic vibe. A gorgeous community table custom-made by Rivers Metal Products is another perfect accent to the Café. Made from two live edge oak slabs, Rivers Metal Products repurposed steel I-beams to create a metal, inset tray-like feature down the center. Large leveling screws add dimension to the legs. 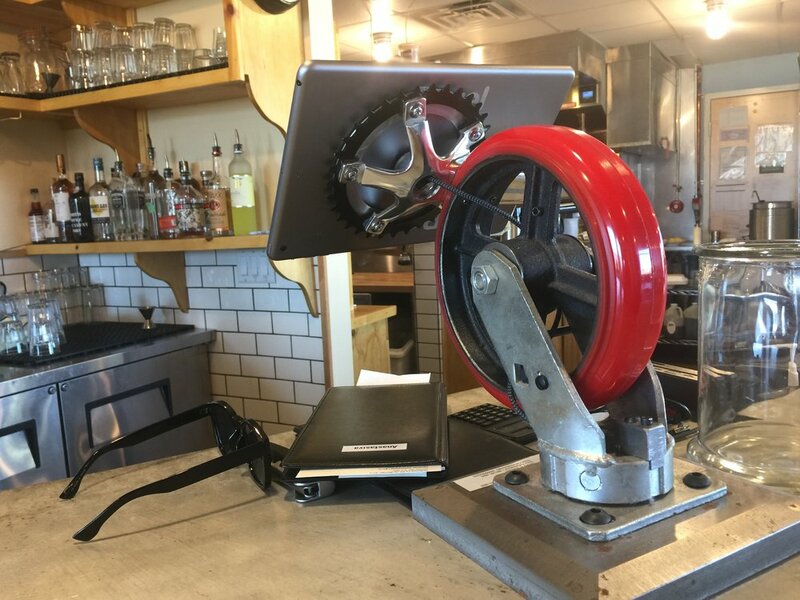 Rivers Metal Products fashioned large red caster wheels to hold the point-of-sale system as staff enter customer’s orders at the curved concrete bar or at the main front counter. The Hub Café’s exterior signage was also fabricated by Rivers Metal Products, bringing Doug’s vision and a graphic design to 3-dimensional life on the building.